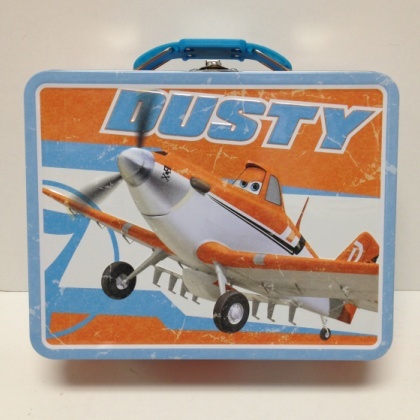 This Disney Planes embossed metal lunch box measures 7.625 inches by 6 inches by 2.75 inches deep with plastic handle and metal clasp. No thermos. Imported and lead free. Just 3 left in stock.